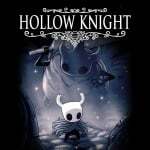 It was only last week that Team Cherry - the Australian-based developer behind the recent eShop hit, Hollow Knight - spoke about how it was "working" on making a physical release happen. In the same Reddit AMA, the studio admitted it was somewhat surprised with how well the title had been received and stated it was more than satisfied with current sales on Nintendo’s latest device. Now, exactly one week on, the developer has provided a rough figure to support this statement, revealing to IGN the Switch iteration sold over 250,000 copies within the first two weeks of its release. In a recent interview with Waypoint, Nintendo’s Reggie Fils-Aime even mentioned how the game was doing "exceptionally well" sales-wise. Based on this information, it appears Hollow Knight has been welcomed with open arms by Nintendo Switch owners. Tell us in the comments if you were one of the many people to purchase this title when it was released on the eShop earlier this month. It's an amazing game. I'm glad people are buying it as it deserves to do well. Now bring on that physical version. I'd happily fork out for a special edition. Yay, money. I like the game, but I'm currently loooooooooooost and don't want to cheat. Game is harder than I expected. This game deserves to sell ten times that number. For me is among the best, probably even THE best Metroidvania game ever made. For me, personally, it’s superior to even Super Metroid. Love this game so much, and will gladly buy a physical version. One question though: can digital game saves transfer over to physical? I purchased the title the day it was released I had been waiting for it to come to the Nintendo Switch and so far I am having a great time with it such a great title I'm glad it is doing great , it is a fantastic title and it plays fantastic on the Switch. Now can they tell me what Fifa 18, NBA2K 18, LA Noire and the Bethesda games sold on switch? Its Switch release was the highlight of the E3 Nintendo Direct for me and it surpassed my expectations. It is a bit brutal at times, but I guess it was even more unforgiving at launch, so this is a sweet time to get in on it. Way undervalued at $15. Not sure I’ll go for the physical release but with the right bundle it might be nigh irresistible. @KimBread : The save data is stored in the console's internal memory and not the cartridge itself, so there is nothing to transfer. You can use your existing data between physical and digital versions of games interchangeablyl so long as there is no discrepancy between different region versions of the software (which is really rare). Fantastic little gem. Glad to see it's selling so well. I lost thirty or so hours to it fairly quickly. I'm still not going to get it. I hate the art style and the chibi looking character. wow, that's $3.7million dollars before they pay taxes and Nintendo's cut. Good work. This game is huge, hard, and so well made. Loving it! I'm glad it's a success on Switch. We are going to get a lot more exclusives and first releases for indie games since they do so well on Switch. Going through 2nd playthrough, it's such a nice game. One of the best Metroidvania's ever made, and best indie title on Switch to date. Well worth the $15 for anyone on the fence. I'd say it's easily worth $30, so $15 is a steal. It’s a great game and a well deserved success. Switch could easily become the platform where high quality indies release first - it’s just so viable as a platform for them. I doubt we’ll ever see many true exclusives from the indie community but I don’t actually think that’s very important. I'm happy for the devs. The game feels like a real labor of love, I am glad it was funded. Thank you, backers! Would like to buy it, but I always end up buying these critically acclaimed indies & never find the time to play them. Still got Inside, Owl Boy & Celeste in my backlog . Think I’ll wait for a sale. If I was an Indy developer though, then Switch would be the place to be. This game definitely deserves its success. While I don't feel it's quite the genre defining masterpiece I've seen some people make it out to be, it IS a very good game and excellent value for its cheap price tag. Waiting for physical. Glad they announced it so early on. @LUIGITORNADO That was my opinion too until I played it. I didn’t like the visuals from screenshots and even YT videos at all... but I have now turned. I am in love with this game! Controls are superb (playing with Joy-Cons) and atmosphere is great. Game was fantastic, here hoping for a sequel soon. @Equinox : I already pointed out that there can be discrepancies between regions, which is uncommon and not standard. The eShop pages between regions (and the supported languages shown) is a good (though perhaps not definitive) indicator of which versions of any software are the same between regions. If there is any discrepancy with the supported languages, then they should be treated as separate software (for the purposes of multiplayer compatible, save data etc.). Best game available on Switch, as far as I am concerned. I'll probably get hates for saying this, but Zelda and Mario don't even come close to how epic and interesting Hollow Knight is. Not surprised, it's s gem of a game. Also with the price it's set as you're pretty much stealing it. I hope this developer continues to make a lot of money from this game, as they totally deserve it. It's fantastic, didn't know anything about it other than the fact some fellow Nintendo Life readers were really looking forward to it releasing on Switch. I got caught up in the hype surrounding its E3 release and bought it. £10.99 is crazy price and they deserve every success, well done. @LUIGITORNADO You will miss on one of the best Metroidvanias ever made... At $14 is a steal, so give it a chance. If you like this genre, you won't regret it. It's a real quality title, and it is challenging too which is amazing. Great game sold at a great price, no wonder it did so well. I hope it will continue to sell, because the game is currently one of the best offerings available on eshop. I'm a bit old for the twitch response needed for some of the platforming but I'm 25 hours played and still enjoying it. I was half way through god of war and have not touched it since I started playing Hollow Knight. It a fantastic game and currently a switch console exclusive. I got it and I’m loving it. Come on give it a physical so collectors can give their support as well. Bought it around 10 days ago. This game gives me nicer and nicer surprises every time I play it. It's absolutely fantastic!!!!! Smooth, captivating, huge, well designed, it seems the developers poured tons of love in it during the production. Probably the best Metroidvania style game in history. Now they finally have enough money to ditch Unity and build their own engine. Too many games ! I was waiting for it, but I already have too much on my plate. @KimBread Saves on Switch are tied to the system itself, there shouldn't be an issue. Game is great and deserves all the praise and sales. As a matter of respect, this game will never be better than Super Metroid or the Castlevanias in the same vein, though. I’m happy that many indies are finding great success on the Switch, it’s a good deal for all sides - developer, player, and Nintendo! Fans want 2D Metroid games on Switch. Come on Nintendo. Why they sleep on this franchise always puzzles me. It's easily one of the top 3 games on the system. Everyone should own it. with so many Kickstarter projects turning into huge dumpster fires, it's nice to see another success story. @Stargazer how far into the game are you? To be honest I found it frustrating for the first few hours, but it opens up a lot after you get through the first few areas. For me it's a game that requires a lot of patience, especially in the beginning. With so much to explore it can be hard to know where to go next, and you have to get used to a lot of backtracking. Yeah, I know I can talk to him. I'm trying to find the Royal Waterway and Fungal place maps. I'm not really lost, just having a hard time. @mateq "Best game available on Switch, as far as I am concerned. 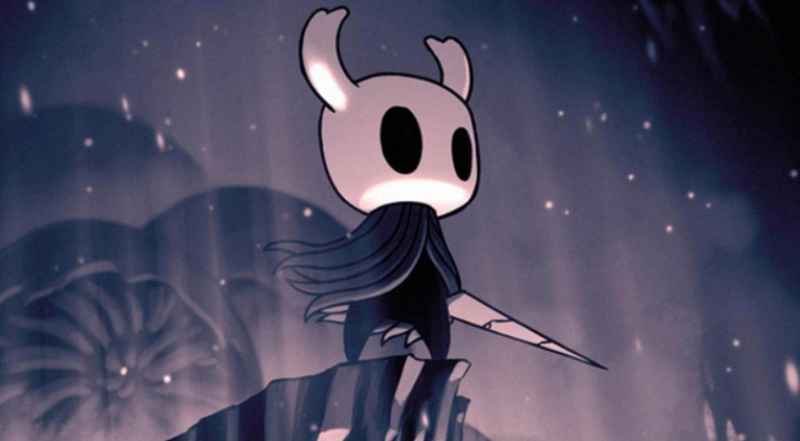 I'll probably get hates for saying this, but Zelda and Mario don't even come close to how epic and interesting Hollow Knight is." @Nincompoop "Now they finally have enough money to ditch Unity and build their own engine." Why the hate on Unity? It's because of the open nature of Unity that games like this even exist. Small teams can get up and running without having to spend months/years building an engine and can concentrate on the game itself. @Isaix yeah that seems like an excuse (not you, then). He’ll nintendo could throw a pile of money at this developer to make a Metroid game (this art style would be amazing for Metroid) and it would rock. Oh well, pipe dreams. @Stargazer Yeah, I don't know if there is an intended order, but some items need to be found before you can open up new areas. There are some strange design choices that took me a while to get used to, like not having any map at all for a new area, not even of the rooms you've already been in, until you buy the area map. I've yet to play this on any platform, though it's on my backlogged "to-buy" list. I'll probably get the Switch version as this looks like something that's a good fit for it. Just waiting for the inevitable physical version, then I'll be a buyer. @The_Mysteron Exactly what you said, they are an indie company using Unity to get started. Now they should have enough money to build their own engine. Seen all the endings, beat all dream bosses, beat all DLC. This right now is on GOTY nominee status for me. 75Hrs of Metroidvania masterpiece. Now bring on the Gods & Glory update and DLC. So there has been many times where I get the feeling from the comments here that many Nintendo people don't play games on Steam. I understand how much better it feels to play indie games on the Switch, but these kinds of sales cannot be people second dipping on the game. I'm surprised at the number of people who haven't play games like Hollow Knight yet is all. I hope Dead Cells does just as well on the Switch once it comes out. great news. that will prob mean that we can expect more A+ indie titles in the future. i also bought the game last week, its amazing. This game certainly sets a standard to Metroid style exploration titles. It’s worth more than it’s $15 price tag. I thought it was just another indie “Knight” game that was competing for attention, but I’m glad I was wrong. It’s an essential, like Shovel Knight, Owlboy, Shantae, Axiom Verge, Bloodstained, Gunvolt, Wonder Boy, and the likes... This game has stolen hours from my life, and it’s still not 100%. Every time I think I’ve seen it all or must surely be closing in on the end, I’m mistaken. It does live up to Symphony of The Night and Super Metroid. The Dark Souls touch kills me. Losing over 7,000 geo and not wanting to go to bed, because you’re in an unknown area and you refuse to die your second death or forget your way... This team worked hard and created a masterpiece. At first I didn’t like the thick or simplistic vector lined artwork and cutesy character designs, but now I see they mesh so well within the environments and contrast well with all the depth. This is a good game, give it a go. It deserves success. Well, as of now the Switch version is the ONLY version, at least as far as consoles and handhelds are concerned. It is on PC, but that's it. Unless you're a PC gamer, Hollow Knight is Switch exclusive, with no announced plans for other platforms. Although I'm sure they will come at some point down the line. PC gaming is still relatively niche. Most gamers game on consoles and handhelds or even mobile, but not PC (I'm sure a lot of people have, at the very least, set up a Steam account on some old laptop, but if you ask people if they actively game on PC you're going to find that far fewer people actually do. Plus anyone who backed the game on Kickstarter (such as myself) probably wasn't going to go buy another version when they had a free Switch version coming (previously Wii U version, which was changed to Switch mid development). And even when it released on PC, the Switch version was supposedly going to release just a few months afterward. So even people who had the option of buying it on PC probably waited to get the version they wanted, it just ended up taking longer than we expected. @VR32X hmmm... Sounds kind of like Salt and Sanctuary, which was excellent. Chalk another indie success up for Nintendo Switch! Yahoo! It deserves every sale. What a fantastic game. It’s a full price value game (easy). Challenging in just a perfect kind of way. There’s a tipping point where I went from liking it, to being floored by it. It’s so worth spending time getting to know it. For all those waiting for a physical release this game is such good value it is one I would not give a second thought to double dipping, It maybe the only game I have on the switch which I would. I almost feel bad by how little it cost like I did not pay a far price for it. If it does get a physical I would not open my copy. I think this is a game that will become a proper collectable in the future. @JaxonH You may be right but due to my personal experiences the idea of PC gaming being niche today is bewildering. I can understand the lack of PC exclusives in the last 5 years making more people just okay with gaming on a PS4. But in terms of having the biggest access to games, a Nintendo console and a PC is vital. Unlike consoles a PC can still run games from the 80s and with sites like GOG and Steam (and emulators) the gaming library is virtually unlimited and spans the entire history of videogames. @JaxonH I could be in too deep to realize casual gamers and kids have moved on from browser games to playing on mobile like you said. Believe me you dont have to preach the merits of PC gaming to me. I'm literally playing Fire Emblem Radiant Dawn, Metroid Prime and Xenoblade on my GPD Win 2 handheld as we speak. @LUIGITORNADO My friend, you are missing big time then. Been waiting for the Switch version. I'll start this once I'm done Celeste. @LUIGITORNADO I know taste in art is subjective. But if you think the art in this game is bad, your taste is subjectively terrible. @ricklongo hating something doesn’t mean it’s bad. It just means I hate it. Already picked it up, but haven't had a chance to play it. I've got too much backload of other stuff i'm working on lol. Bought it on a whim from such great reviews on it. Love it! @Nincompoop "Exactly what you said, they are an indie company using Unity to get started. Now they should have enough money to build their own engine." @The_Mysteron If we don't reinvent the wheel, all the cars will be using stone-wheels. Do you think using cavemen technology is cool? @Nincompoop "If we don't reinvent the wheel, all the cars will be using stone-wheels. Do you think using cavemen technology is cool?" It's a figure of speech. Also, you can hardly equate Unity with caveman technology. Unity itself is constantly evolving. My point is that this game and others like it exist because of tools like Unity. How many 3rd parties use Unreal engine? Are you suggesting they would be able to make better games if they built their own engine? @The_Mysteron Years ago before Unity or Unreal existed, all game devs including indies built their own engines. And years before that, all game devs know how to code in Assembler. So you see, over the years devs are getting lazier and dumber, only using high level coding languages and not knowing how to optimise performance with machine codes. The easier the toolkit, the less the user knows what's running under the hood. The less they know, they less they can fixed the problem and improved performance. This is the reason for so many delays when using 3rd party engines, they are struggling to fix slow frame rate and loading time. @Nincompoop Being a coder, I must admit you make a valid point about devs becoming lazier when it comes to using only high level languages. The analogy I would make would be a mechanic who only knows how to change the oil and tyres but can't fix the car. So I get what you are saying about these tools making devs 'lazier and dumber'. But I also know that games like Hollow Knight only exist because of Unity. Maybe I jumped in because I've heard a lot of disparaging of Unity - coder snobbery if you will - and I personally think it has added more to the industry than it has taken away. If a small team on a tight budget can concentrate on gameplay and art and not have to worry about getting an engine together, surely that's better for games, especially in a time where original ideas are in very short supply.